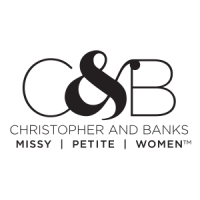 Christopher & Banks is looking for a Full-Time Assistant Store Manager for our Plattsburgh, NY Mall location. The Assistant Store Manager is responsible for supporting the Store Manager in managing store operations to ensure a great customer experience and maximum profitability. They perform all management functions in the absence of the Store Manager. Assist the Store Manager in the recruiting, hiring and development of store Associates. Demonstrate professionalism, strong work ethic, integrity and respect for others to support an environment that positions Christopher & Banks as an employer of choice. Deliver timely coaching and feedback to staff when appropriate; provide feedback to and support Store Manager with performance issues. Promote a store environment that is sharply focused on consistently delivering exceptional in-store shopping experiences. Support the achievement of store sales goals and Key Performance Indicators (KPIs). Assist Store Manager in building brand awareness and promoting company image through partnerships and activities with the community and mall, and by planning and executing grassroots marketing activities. Assist Store Manager in sustaining a highly satisfied and loyal customer base through engagement, effective selling techniques and conversion to drive a sustainable sales trend. Support Store Manager in maintaining the general operations of the store, and adhere to all operational procedures to ensure safe and efficient operations. Participate in the execution of corporate directives within designated time-frames. Support compliance with all applicable federal, state and local laws, Code of Conduct, loss prevention policies, and operational policies and procedures. Participate in the execution of visual merchandising updates to ensure the store is consistently merchandised according to visual guidelines. Support the Store Manager in holding team accountable to standards. Assist Store Manager in maintaining a visually appealing store, ensuring that visual merchandising, organization and safety are kept to the highest standard.